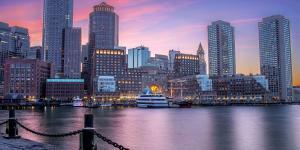 Boston has transformed itself countless times over four centuries since the Puritans arrived in 1630 and founded the Massachusetts Bay Colony. Early figures such as John Winthrop, Cotton Mather, and Anne Hutchinson endeavored to create a “City upon a Hill” where Puritan values would flourish in the New World. 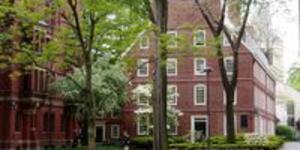 Venerable institutions such as Harvard College and Boston Latin School were founded to instill and propagate a New World education set forth by the Puritan clergy. 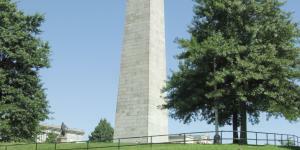 Path of Presidents Reveals an unparalleled catalogue of presidential history in Greater Boston. Given its geographical location, Boston quickly came to rely on its port for commerce and sustenance. 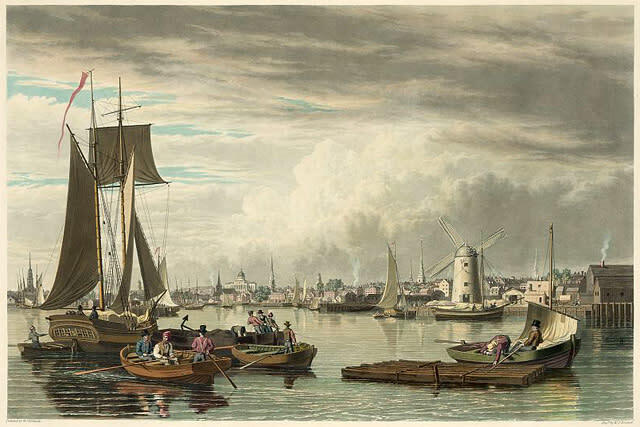 Trade was paramount and it was the emergence of Boston’s maritime merchants – trading goods like tea, sugar, fish, and tobacco – which ultimately led to a collision course with the British Empire. As the China Trade grew, along with Boston’s reliance on tea as an import and an export, and as Britain’s East India Company depreciated, a fraught situation developed; Britain, facing debt and discord, transferred war debts and trading deficits to its colonies. 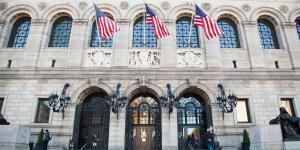 Boston was in a state of defiance and non-compliance from the outset. 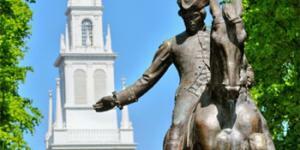 As the British Parliament passed a succession of acts aimed at taxing the colonists and restricting their political power, leading figures such as Sam Adams, John Hancock, John Adams and Paul Revere initiated a movement which transcended class lines and drove the people of Boston into open rebellion. 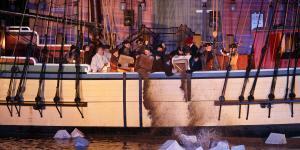 Catalytic events such as the Boston Massacre and Boston Tea Party drove events inexorably towards revolution. 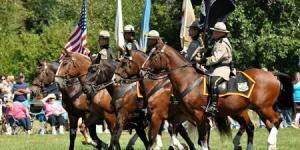 By the time Paul Revere road into the countryside on April 18, 1775, the city of Boston was ready to fight. The Battle of Bunker Hill occurred two months later and by early 1776 General George Washington was in Boston to take control of the Continental Army. Following American Independence, Boston’s economy entered a new era of Clipper Ships, textile manufacturing and global trade. 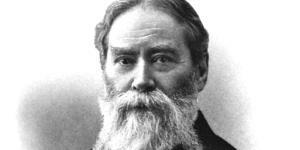 In terms of social and political developments, abolitionist fervor took the town by storm, led by Charles Sumner and William Lloyd Garrison and supported by a vociferous contingent of female abolitionists. 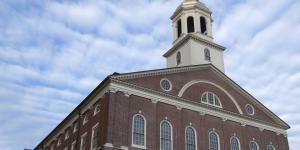 Boston was home to a vibrant and active African-American community which populated Beacon Hill during this era; the first African-American Church, Meeting House, and School were all founded on Beacon Hill. 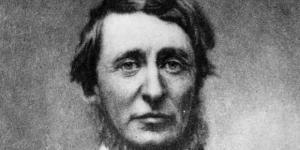 Also during this era, America’s nascent literary culture began to find its voice as esteemed Boston writers such as Henry Wadsworth Longfellow, Ralph Waldo Emerson, Henry David Thoreau, Nathaniel Hawthorne, and James Russell Lowell ushered in a prolific era of American writing. 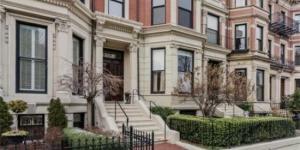 In the mid to late 19th century Boston underwent dramatic change to its landscape and population. The arrival of immigrants from Ireland during the Potato Famine, and then from Italy, Germany, and Poland later in the century, fundamentally changed Boston’s human makeup and political leanings. 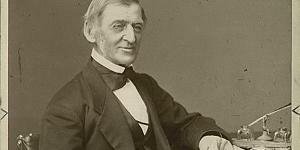 Boston’s older caste, the Republican Yankee establishment, was slowly pushed to the margins of Boston’s political life. While the Yankees maintained control of Boston’s economic and educational institutions, Irish and Italian immigrants took over the city’s political apparatus. The immigrants brought to Boston a bevy of skilled and unskilled labor that was critical to Boston’s physical development beyond its downtown and port peninsula. 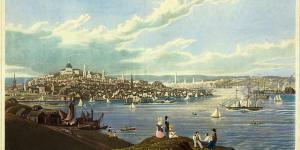 Boston had outgrown its physical size by the 1840s and needed to create new land. 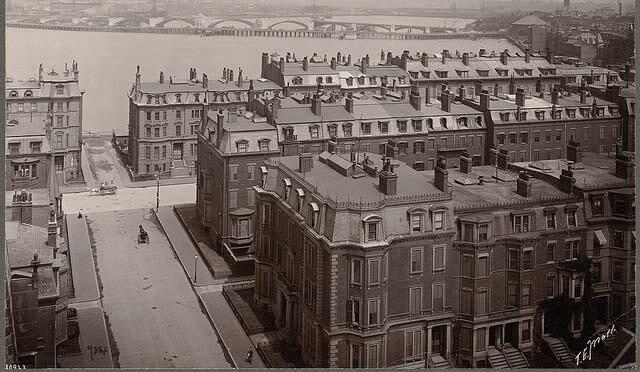 With the help of Irish labor, the city developed the South End and then the Back Bay, re-locating the Yankees during the 1860s and 1870s to the Victorian brownstones and town houses so associated with Boston’s Back Bay neighborhood. 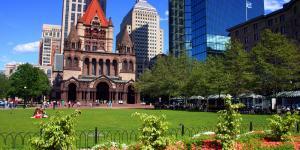 Soon enough, iconic landmarks such as Trinity Church and the Boston Public Library existed in the Back Bay as well. Not bad for an area that had been part of the Charles River Basin for millennia untold. 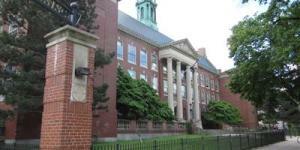 Always innovative, Boston spearheaded a number of firsts throughout the mid-19th century and early 20th century: ether was used as the first anesthetic at MGH, the nation’s first subway system went into operation, Alexander Graham Bell patented the telephone, and the first mutual fund went public courtesy of MA Financial Services. 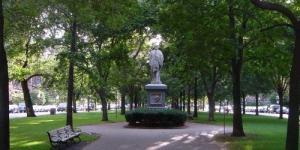 The city contracted with Frederick Law Olmstead to beautify Boston with a network of urban parks stretching from the Boston Common to Jamaica Plain. 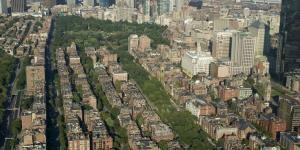 The Emerald Necklace was born and the project included the creation of the Back Bay Fens which, in turn, facilitated the development of Fenway Park, the oldest ballpark in Major League Baseball. 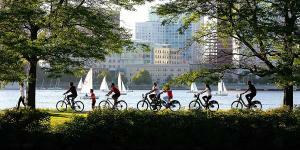 In the 20th century Boston continued its emergence as an innovation hub and world-class city. MIT moved across the river to Cambridge and transformed from a tech college to a world-class institute of engineering and technology. Bizarre and controversial events such as the North End Molasses Flood, Boston Police Strike, Brinks Robbery, Boston Strangler crimes, busing crisis, and destruction of the West End caused a fair share of intrigue and discordance while political figures such as James Michael Curley, John F. Kennedy, Thomas “Tip” O’Neill, Kevin White, and Michael Dukakis became household names. 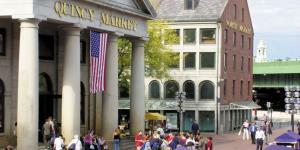 As the nation celebrated its bicentennial in 1976, Boston used funds generated from the anniversary to transform and revitalize Faneuil Hall Marketplace and create the Boston National Historical Park. In the 1980s and 1990s, monumental tasks were undertaken to make Boston a cleaner, more aesthetically-pleasing city. The cleanup of Boston Harbor and creation of the Big Dig were the most prominent examples. 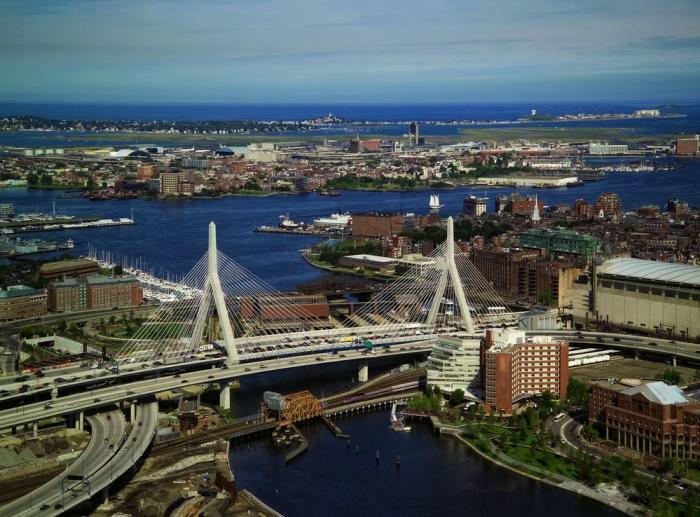 Boston Harbor is now one of the cleanest urban harbors in the world. And while the Big Dig vastly exceeded its allotted budget and timeframe, it was a transformative project of unprecedented size that made Boston more efficient for travelers and more beautiful for tourists. The sprawling Rose Kennedy Greenway atop I-93 is a lush urban space affording visitors and residents alike relaxation and recreation within the city center, not to mention eclectic artisan markets, food trucks, public art installations, outdoor movies and interactive festivals. As Boston looks ahead to 2017 and beyond, the development of One Seaport Square and the Innovation District in South Boston will hum along and continue to bring new industries of life sciences, biotechnology, pharmaceuticals, and consumer technology to the bustling district. General Electric will relocate its headquarters to Boston’s Seaport District at some point in the next year. Alongside the Seaport District, Kendall Square in Cambridge makes Greater Boston one of the world’s foremost innovation clusters, and a hotbed of biotech engineering and life sciences research and development. Boston will continue to embrace its past while formulating next steps to encourage the multiculturalism, inclusivity, and youthful character which collectively make the city a great cosmopolitan hub.